No amount of scrupulous planning can prepare an individual for accidents. Natural calamities, theft and home invasions are seldom planned by mother earth and perpetrators. Often, vandals and burglars leave extensive damage in their wake. Possessions are taken, doors are broken during break-ins and expensive works of art can be flicked without a moment’s hesitation on the burglar’s part. Which is why obtaining a home insurance policy for your house is extremely important. If you live in a neighborhood prone to floods, storms and earthquake or your area has recently seen a spike in crime rate, then buying house insurance is mandatory. Theft or damage to possessions in your home such as valuable works of art, jewelry, electronic equipment, etc. Deciding which policy to buy depends on the amount of money or premium you can pay and the level of risk of natural calamities and theft in your neighborhood. You should also see what the policy covers. 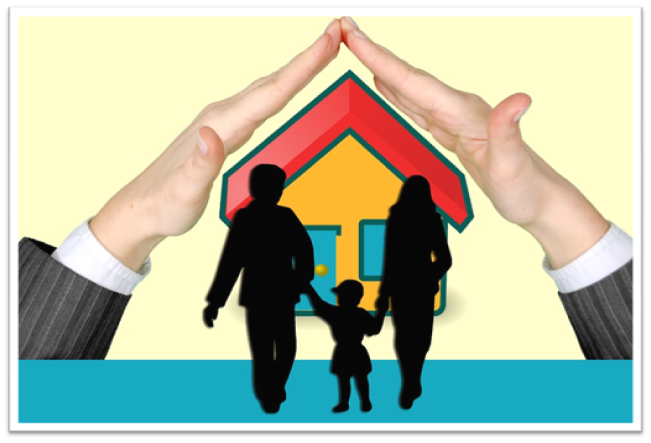 Avoid simply choosing a home insurance policy on price alone. While you might be paying affordable premiums, if your policy doesn’t cover all the risks to your home, you could end up paying for all the damages. Do you have pets? Do you store something extremely valuable in your home? Do you lose your keys often? It is a good idea to always check for the add-on benefits provided by your chosen house insurance provider since they can be extremely useful in the long run. For example, many insurance policies cover veterinary costs for your pooch and some even compensate for expenses incurred on loss of house keys. The claim settlement ratio indicates the amount of times the insurance company has actually paid policyholders when they have claimed an expense. This will help you know whether the company is likely to compensate you and your family for damages incurred during floods, storms, thefts, house break-ins and earthquakes. Before purchasing a house insurance policy from your insurance service provider, find out if they have the financial means to settle claims especially large ones. A robust financial health indicates that they have the ability to settle claims. If you already have general insurance, check with your insurance provider for a good deal on an insurance policy for your home. Most people spend their whole lives saving to buy their dream homes. Safeguard your dream home against untoward incidents in the future.